Wendy Kirkland is a pianist, Hammond organ player and singer who has been a regular on the UK jazz circuit since 2002. Solo piano and voice, or performing with other musicians, Wendy will add a touch of class to your event. Wendy Kirkland is the product of an incredibly musical family who is largely self-taught; well, at least for jazz! Achieving her ABRSM piano grades during her childhood left her with a choice of direction; she chose jazz. Wendy’s voice has been likened to Blossom Dearie with hints of Diana Krall and has attracted comments such as “lucid warmth” (The JazzMann) and “vocal acrobatics” (Bebop Spoken Here). She has been a regular on the UK jazz circuit since 2002 and has been praised highly praised by fellow musicians Jim Mullen, Alan Barnes and Roger Beaujolais for her innate musicianship. The concept of a quartet featuring Wendy was formed in early 2015 to celebrate singer pianists such as Diana Krall, Eliane Elias, Shirley Horn, Nina Simone, Blossom Dearie and more. Wendy is joined by a top class band, Pat Sprakes on guitar, Paul Jefferies on double bass and Stevie Smith on drums. 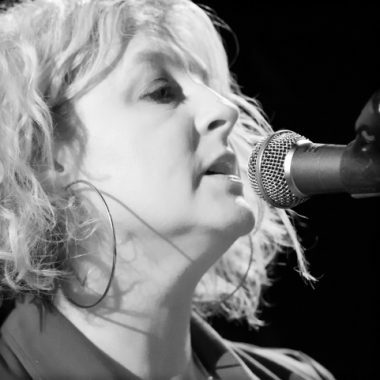 Last April the talented jazz keyboard exponent, composer and vocalist, Wendy Kirkland completed a brief and very successful tour for Nottingham ‘Jazzsteps’. On three consecutive nights her ‘Piano Divas’ quartet visited Worksop, Southwell and West Bridgford Libraries, attracting healthy and appreciative audiences at all the venues. This reviewer was at the West Bridgford gig and there the library boasts an excellent open space with room for a small stage and some very good acoustics. 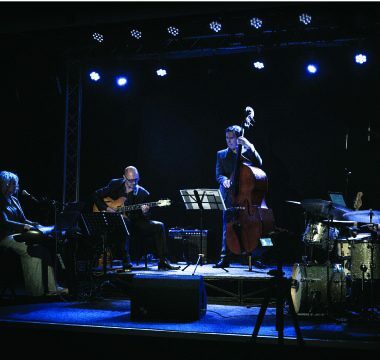 However, such was the atmosphere created by the first few numbers from Wendy Kirkland’s ‘Jazz Divas’ project that it seemed to me we’d been whisked away from the spacious West Bridgford Library to an intimate, atmospheric, dimly lit night club in either London or New York. This effect was no accident as Wendy had carefully selected a variety of songs performed by piano-playing Divas by researching their recorded repertoires and programming the numbers into what was to be a varied and vastly entertaining evening. A couple of the performances were based on versions of songs performed by the brilliant Brazilian born pianist/jazz singer, Eliane Elias. ‘Chega De Saudade’, a Bossa Nova with English lyrics by Jon Hendricks was performed beautifully by Wendy, with plenty of toe tapping and drawing rapturous applause. The ever popular ‘Frim Fram Sauce’, arrangement credited to Diana Krall but made popular by Nat ‘King’ Cole had, as well as a great vocal and piano solo from Wendy, a sparkling guitar solo from Pat Sprakes. Wendy then told us how much she admires the singing and piano playing of Shirley Horn and proceeded to give a lovely version of ‘I Just Found Out About Love’ written by Jimmy McHugh, later in the evening came ‘Come Dance With Me’ also featured by the late Ms. Horn. The Piano Divas quartet also played a Pat Sprakes arrangement of a Nina Simone favourite, ‘My Baby Just Cares For Me’, a good choice this, the attentive audience really enjoying this one, its lyrics being well known from the ‘Top Ten Hit’ scored by Ms. Simone in 1987. Once again Wendy’s singing, keyboard skills and Pat’s guitar soloing drawing smiles and long applause. Wendy played piano and sang beautifully on all the score or so numbers included in the ‘Piano Diva’ package, complemented by her partner in life, as well musically, the brilliant guitar soloist, Pat Sprakes. Pat’s solo spots reflected his own heroes, from the funky guitar maestros of the ‘Blue Note’ / ‘Riverside’ record labels Grant Green and Wes Montgomery, to the jazz rock and fusion masters, George Benson and Larry Carlton. The unsung heroes of the night, completing the quartet, standing just outside of the spotlight, but playing a vital role were, Paul Jefferies on bass and at the drums, Clive Loveday. In conversation with Wendy she told me of her aims and goal for the ‘Divas’ package, “…it’s a mixture of songs personal to me and a tribute to the skill and talent of performers who are both bona fide pianists as well as singers…”. 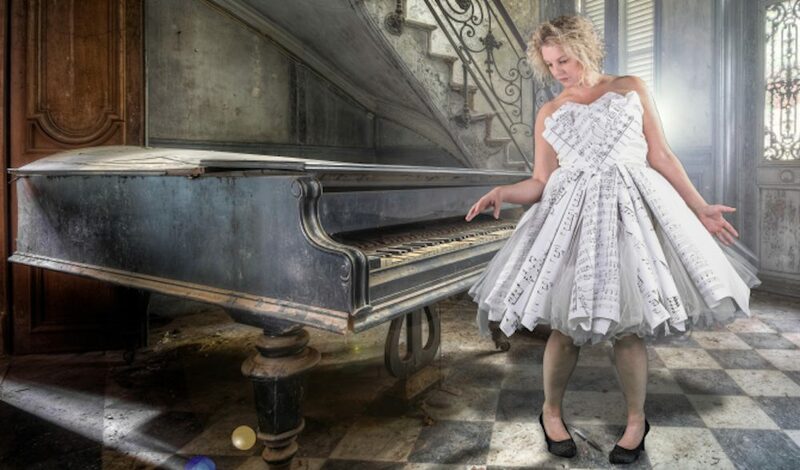 In my opinion Wendy Kirkland succeeded admirably in her aims and I’m sure that the happy audience who spilled out of the ‘JazzSteps’ gig that night would have been convinced that Wendy was more than a few steps up the ladder to gaining ‘Piano Diva’ status herself!